“There will be a revolution.” – Emily Warramurra on her new single, culture and the power of music. 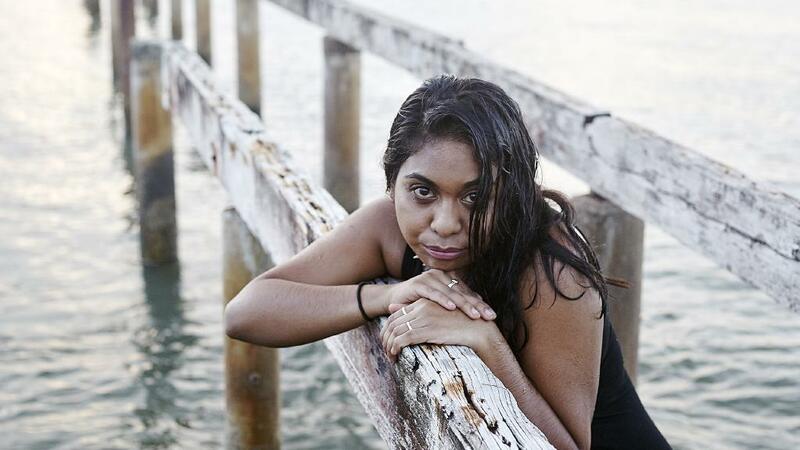 Emily’s new single “Ngarrukwujenama”, which translates to “I’m Hurting” is a perfect balance of folk and blues, sung completely in her local language of Anindilyakwa. Her soft yet soulful voice dances over music that draws inspiration between Meg Mac and Tash Sultana: the perfect teaser for the new album to come. Despite having no knowledge or understanding of the language, you can feel the importance of the words as Emily sings them. The lyrics tell the story of the 2013 court case between a mining company and the traditional owners of Emily’s home of Groote Eylandt. The local community won, resulting in a total ban on seabed mining around the island. Ngarrukwujenama is about that fight and is for the people, says Emily. Singing about local issues in a local language has seen a positive response by the community that helped inspire the song. Her Aunty is an Elder who works in linguistics, with a goal to preserve Indigenous languages. But on an island with only 1500 people, Emily says that motivating young people to pick up an ancient language is hard, and that’s where the music comes in. Singing in Anindilyakwa is a win for everyone according to Emily. The people on the island appreciate the message being communicated in their own language, and she loves being the one to create that preservation. Outside of literal understanding, she is happy that those who don’t speak the language can still enjoy the song. “When I sing in my language the people know where I’m coming from, they’re able to connect on a deeper level. But if I’m singing to someone like you, you’d be so interested, but you wouldn’t be able to understand. But that’s exactly what music is about; it’s about whatever feeling it gives you,” she says. There’s a new political wave forming in the music industry. This year’s triple j Hottest 100 gave a special welcome to those who may have never heard the countdown before when it was played on Australia Day. In the list, Camp Cope’s feminist anthem “The Opener” about women in music scored a spot at number 55. 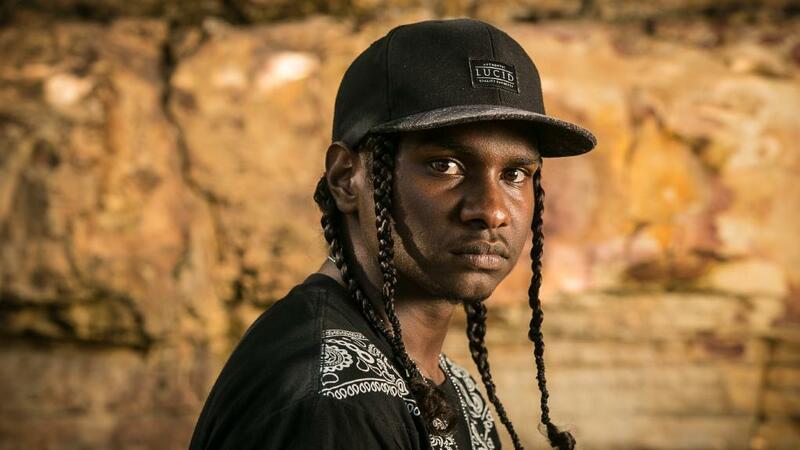 Triple j freshman and Arnhem Land local Baker Boy scored two spots, with “Cloud 9” at number 76 and “Murryana” at number 17. The latter is the highest-ranking song sung in an Indigenous language, and second highest by an Indigenous artist or group, only one behind A.B. Original’s “January 26” which came in at 16 last year. Baker Boy got votes from Emily, who had to use her brother’s account to do a last-minute election after she forgot her triple j password, and hearing him place so high made her proud of the barriers that are slowly breaking down. Exposure to music from a young age is what drove Emily to create it in the first place. Growing up, it was rare to see women in the community perform music publicly, as typical gender roles were practised. She wanted to go against the norm while still singing about the things that were important to her and those closest to her. Now based in Brisbane, she is surrounded by talented women, which is what motivates her to pursue her goal. Politics, the environment and a feeling of home is a big part of her upcoming album, set to be released in mid-2018. Milyakburra is a dedication to her community and is named after the neighbour island of Groote. Emily says that she’ll still be singing about her culture, but we should expect more than just her voice over an acoustic guitar the predominant feature on her Black Smoke EP. You can catch Emily Warramurra for free when she performs at Barangaroo Reserve in Sydney on February 25.